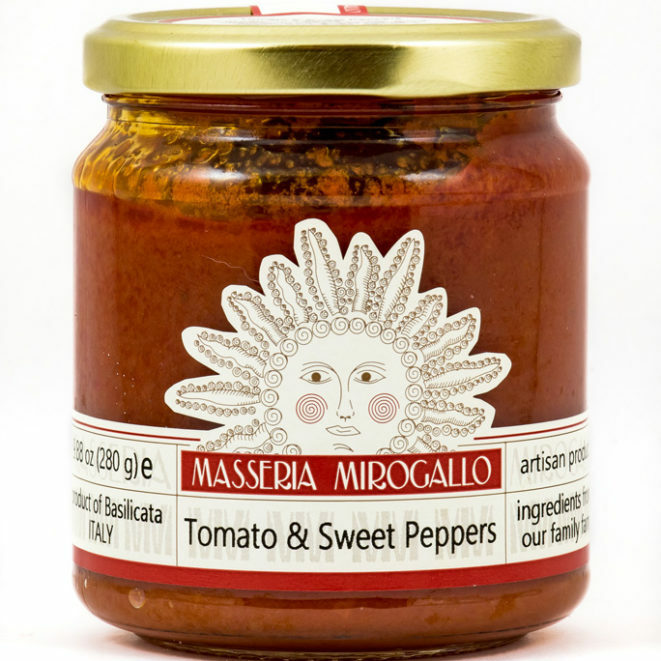 Made with fresh tomatoes picked from Masseria Mirogallo’s own fields, blanched in boiling water and passed through a sieve. 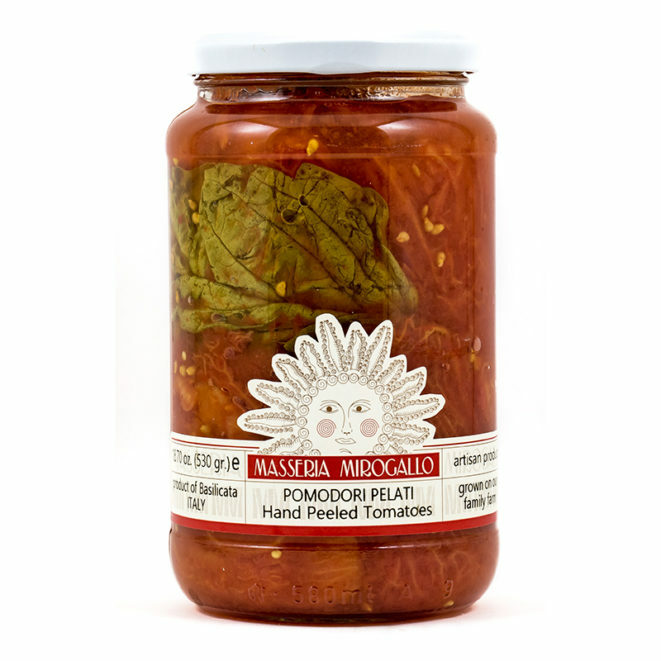 Full-bodied and aromatic, these strained tomatoes are the perfect base for delicious sauces. 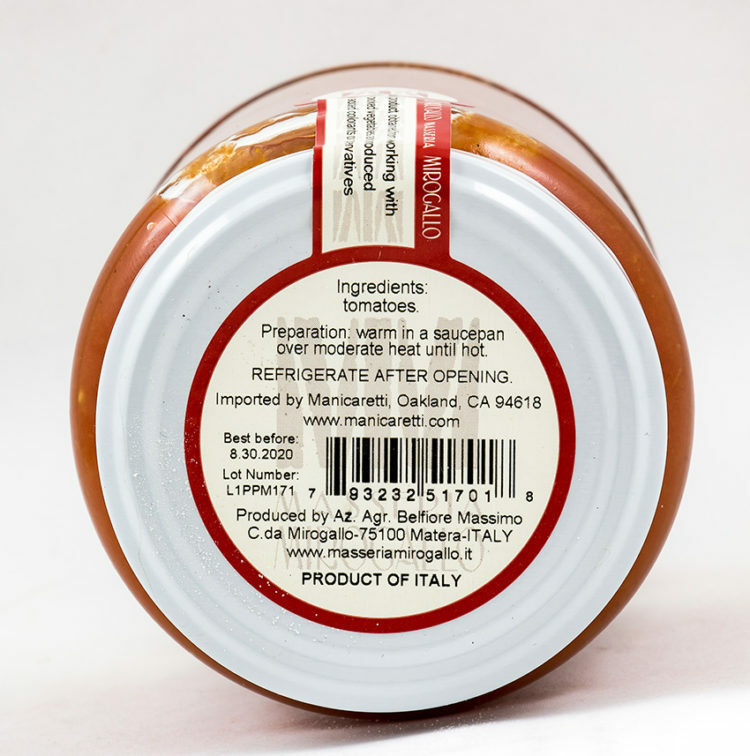 The key to the best tomato sauce starts with fresh tomatoes picked at the perfect moment of ripeness—as done by the Belfiore family of Masseria Mirogallo. 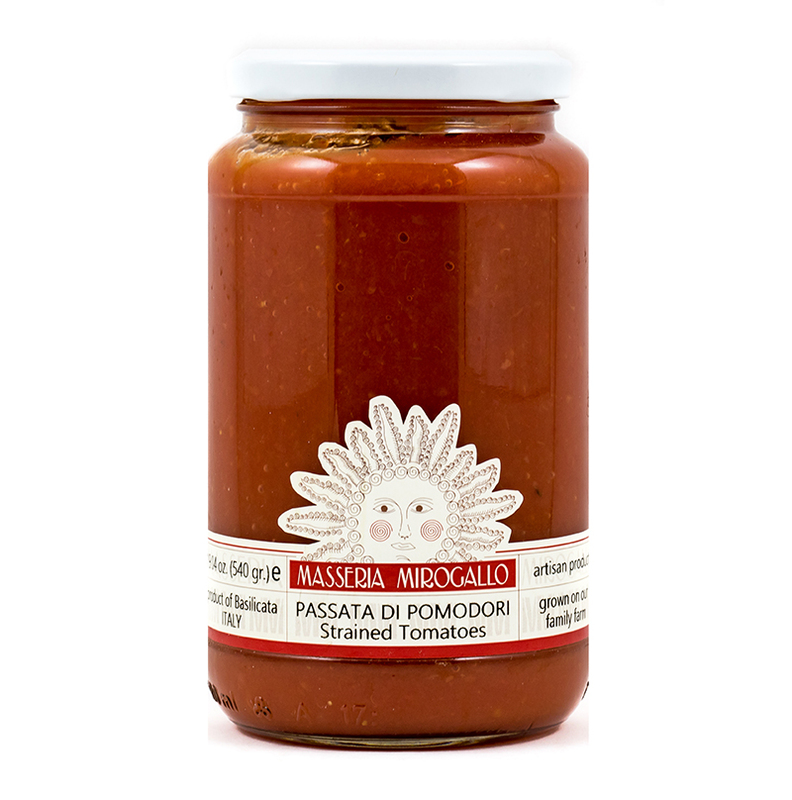 After harvest, the tomatoes are immediately processed into a passata (fresh tomato purée, or strained tomatoes) and bottled when the purée is dense and rich in texture. 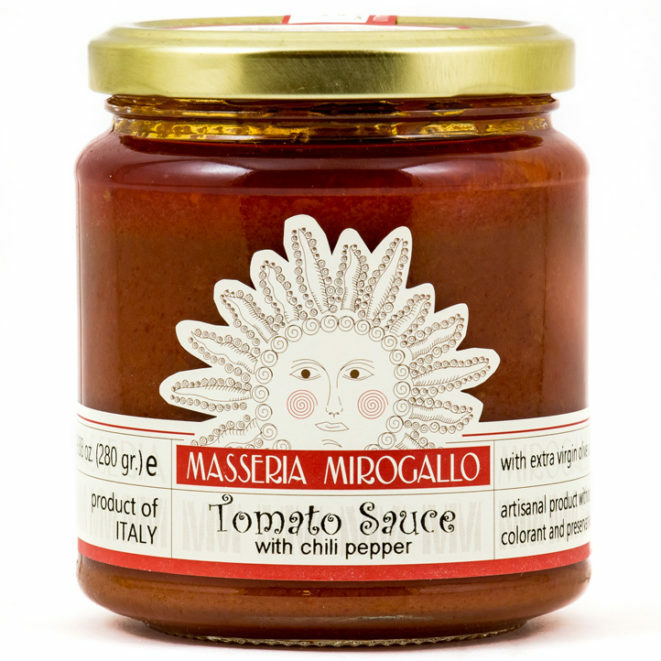 The Belfiore family is masterful at capturing the balance of sweet and acid that graces the perfectly ripe summer tomato. Thanks to the care that goes into the jar, these tomatoes save you considerable time in the kitchen. Use passata the way the Italians do, the simplest way of all, cooked as a sauce with onion or garlic and basil. 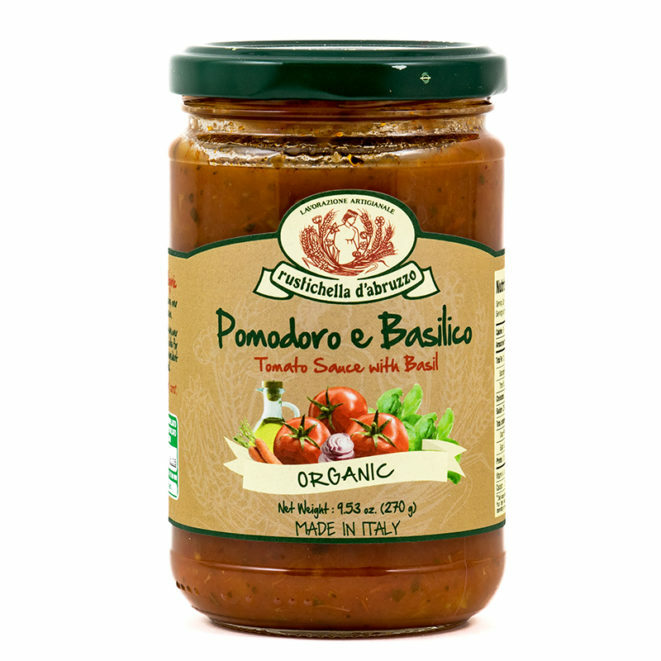 I cooked this with onions, garlic and basil – it was unbelievable!